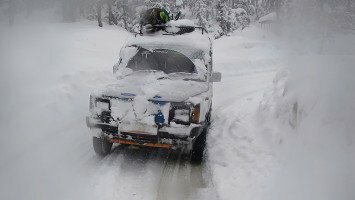 Freeriding in Kashmir is simply mind-blowing! 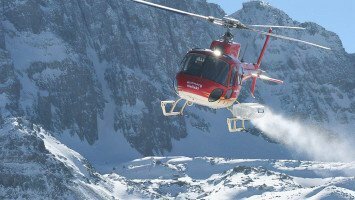 Imagine flying in a heli surrounded by the highest mountain range on Earth. Or picture yourself shredding down the 4,124 meter high Mt. Apharwat at Gulamrg Ski Resort. This kind of freeriding combined with experiencing the Indian culture is available at LUEX. 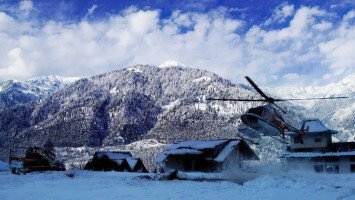 Call us and enjoy the Western standard of lodges, helis and guiding service at the best price on the market. Beautiful, exotic Kashmir, often called “Heaven on Earth,” is truly an out-of-the-world skiing destination and our Kashmir ski trips are some of the most popular in the world. Kashmir in northwestern India is nestled in the Himalayas, Asia’s tallest mountains, home to towering white peaks, and a vast contrast to the hot, dusty and crowded marketplaces one might normally imagine when thinking of India. In Kashmir, you’ll be treated to the trip of a lifetime, a chance to immerse yourself in a lively and vibrant culture, to see one of the world’s most beautiful places, and of course, to ski or snowboard in one of the world’s last undiscovered paradises. Our Freeride Kashmir trips in the Himalayas take skiers to some of the world’s tallest peaks for a chance to ski diverse terrain, from open fields to steep chutes, tree runs and cliffs. The snow in Kashmir is plentiful and some locations receive as much as 15 to 20 meters a year. 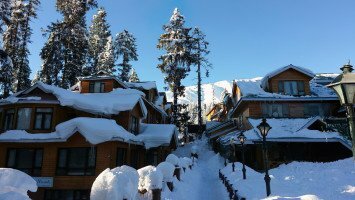 As one of the newer skiing destinations, Kashmir is still like a “diamond in the rough” offering a chance for you to ski untracked terrain, far from the crowds of the world’s popular ski resorts. A ski trip to Kashmir wouldn’t be complete without some time spent learning about the people of the region and exploring the local culture. From touring small villages, to taking in views of the simple yet beautiful countryside of Kashmir, there’s plenty to enjoy even when you’re not skiing. While in Kashmir, you might be able to walk through a quaint mountain town, try Indian and Kashmiri cuisine and learn about the local people’s life and customs. Kashmir is one of the up-and-coming ski areas so you can expect things will be a little different than in Europe, from a broken ski lift, to just the slower way of life of the Kashmiri people, you’re sure to find skiing in Kashmir a new experience, but for most it’s a welcome change. LUEX offers several Kashmir trips that are operated by expert European guides so you can count on the highest level of service. No matter which trip you choose it will be an incredible experience. Freeride Kashmir trips include heliskiing or freeskiing trips and many are located at the legendary Gulmarg Ski Resort, India’s top destination for skiing and snowboarding. Skiing trips in Kashmir are suited for every type of traveler and we have many that are a great choice for families, couples, and groups and also a few that ski bums, solo travelers and steep and deep riders will love too. LUEX’s Kashmir ski trips are suited for intermediate, advanced and pro skiers and snowboarders only. Because India is relatively new to the skiing scene, it is one of the most affordable destinations for skiers and snowboarders and all of LUEX’s Kashmir trips are medium or budget priced. Not only are the Freeride Kashmir trips cheap, but the added convenience of being a relatively short flight from Europe means that skiers and snowboarders can also save money on airfare by choosing a ski trip to Kashmir. Our most popular Freeride Kashmir trip is the Free Ski Himalaya trip, but you’ll find plenty to choose from with something to suit every budget and traveler. Are you ready to experience “Heaven on Earth”? Kashmir is sure to be a true skier’s paradise and LUEX can help you book your trip today!